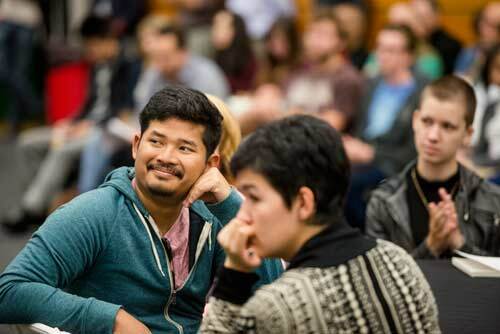 New Student Orientation prepares you to succeed during the first year and beyond. 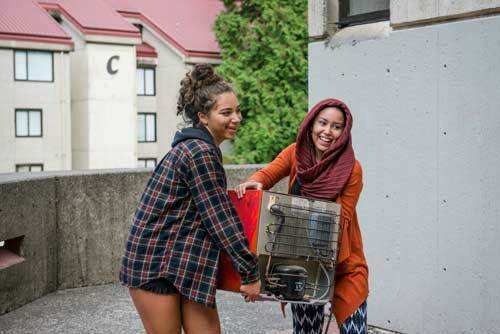 Orientation Week kicks off with Welcome Day where you’ll move-in and spruce up your new home for the academic year. 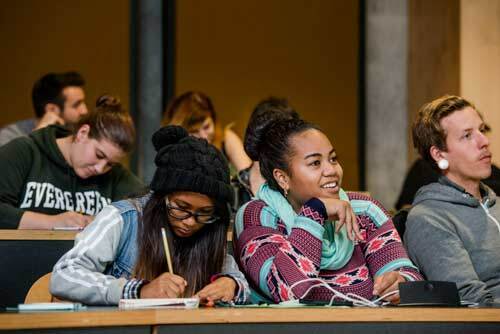 All new students are expected to participate in orientation and many events are required. Please plan to participate fully in Orientation Week—it will make a difference for you! Welcome to Evergreen; we’re glad you are here. This year’s schedule will be released in early September. 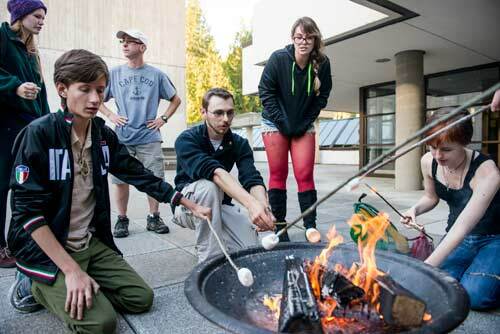 You’ll meet lots of new people for the first time at orientation, with many events to get you accustomed to Evergreen’s one-of-a-kind culture. All-campus events kick off the school year. You’ll gather with the rest of campus, listen to a keynote presentation, and learn the fight song. 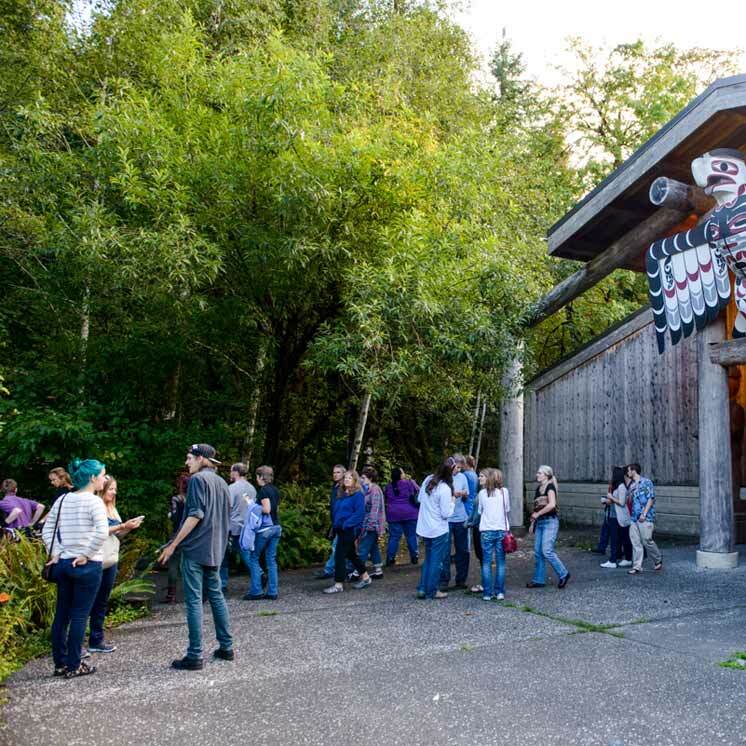 Socialize with new friends at fun evening events every night sponsored by Geoducks@Nite. We’re here to help you get the most out of your education. Advising sessions can help you achieve your goals or set you on a path to a career. Reminder: Olympia is a temperate climate, so be prepared to dress for chilly mornings and warm afternoons. If you are a student with a disability in need of an accommodation during Orientation Week, please contact Access Services for Students with Disabilities at (360) 867-6348 as soon as possible prior to the events you are attending.